Are Michigan Dems running for governor veering too far left? Former Senate Minority Leader Gretchen Whitmer is leading in polls for the Democratic primary for governor. Even as polls show former Michigan Senate Minority Leader Gretchen Whitmer the clear frontrunner in the Democratic primary for governor, it’s worth recalling what unfolded for Dems in the presidential race in 2016. Whitmer, with 16 years legislative experience, a certified liberal record and widespread backing from labor, could be considered her party’s logical and best choice to contest the 2018 election. That sounds a bit like Hillary Clinton, the establishment standard bearer who was steamrolling toward the Democratic nomination for president on the eve of Michigan’s March 8 primary. Polls had her leading Vermont Sen. Bernie Sanders by 20 points or more. MORE COVERAGE: Michigan GOP hopefuls have a choice: Love Trump or leave race. Clinton won the nomination, but went on to lose Michigan again, by less than 11,000 votes, to Republican Donald Trump in the general election, after polls again said she would win. She lost in part, some critics say, because disillusioned Sanders voters failed to show. Could the race for governor hold similar traps for an establishment frontrunner? And with Trump’s success in Michigan, are Democratic candidates veering too far left to win a closely divided state in November? 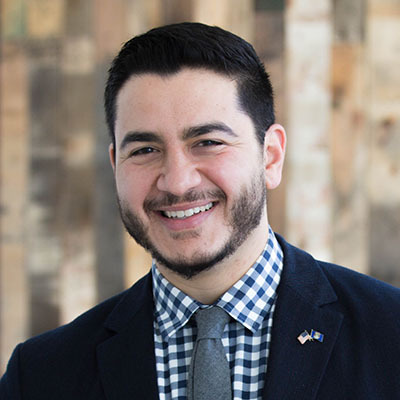 Former Detroit Health Department director Abdul El-Sayed is casting himself as the most progressive candidate. GOP pollster Steve Mitchell said recent election results in Virginia ‒ where Democrats easily won the race for governor and picked up more than a dozen state delegate seats ‒ could portend well for Michigan’s Democratic nominee for governor in 2018. “The Democrats are very, very angry and they are going to turn out in full force in 2018,” Mitchell said. Despite the rift between Sanders and Clinton supporters in 2016, Mitchell doesn’t foresee a repeat in 2018. “Hillary is not on ticket and they are going to support whoever is on the ticket,” Mitchell said. He said GOP Attorney General Bill Schuette, the Republican frontrunner for governor, would likely come after Whitmer by invoking a previous Democratic governor. “They can compare Whitmer to Jennifer Granholm and say, ‘If you liked Michigan between 2003 and 2011, then vote for her,’” Mitchell said. But another political analyst is not convinced Michigan Democrats are ready to sing kumbaya. “I certainly think we could see a repeat of some of the 2016 dynamics,” said Susan Demas, publisher of Inside Michigan Politics, a Lansing-based political newsletter. “It’s interesting, because Gretchen Whitmer has always been identifiably liberal. She’s known for her strong stands on women’s issues. Some within the party even say she’s too far left. Michigan State University’s Matt Grossmann: Races for governor are “normally a referendum” on the presidency. At the moment, Whitmer’s most significant rival could be former Detroit Health Department executive director Abdul El-Sayed. Running to Whitmer’s left, he appeals to many of the idealistic, young and college-educated progressives who gravitated to Sanders. That was reflected in an October survey of 500 University of Michigan students in which he polled at 32 percent, highest by far among the candidates for governor. GOP Attorney General Bill Schuette polled at 2 percent, while Whitmer got 6 percent. Fully 48 percent were undecided. While El-Sayed was at just 4 percent in a September statewide poll by Marketing Resource Group, Demas noted that GOP Gov. Rick Snyder barely registered in early polls for the 2010 Republican primary before he went on to win the primary and election. Whitmer led all Democrats in that September poll with 27 percent. Another poll showed Whitmer tied in a hypothetical race against Schuette.That could be a sign of strength for her, since Schuette’s higher name recognition among voters could be expected to give him an early advantage in polls. Other declared candidates for the Democratic primary include William Cobbs, Kentiel White, Justin Giroux and Shri Thanedar. Thanedar, an Ann Arbor businessman, has spent nearly $6 million of his own money on his campaign but has yet to make much of a dent with voters. His fortunes were surely not helped by a lawsuit filed Tuesday in federal court accusing Thanedar of fraudulently inflating the value of his company. There’s not much difference on core progressive issues between Whitmer and El-Sayed. Both favor a $15-an-hour minimum wage, immigrant rights and better access to health care. El-Sayed, unlike Whitmer, but like Sanders, has called for a single-payer health care system. El-Sayed has also vowed to take no corporate PAC contributions. Whitmer’s campaign took $51,000 from the Whitmer Leadership Fund PAC, which listed contributions over a period of years of $15,000 from the Michigan Trial Lawyers Association PAC, $5,000 from CMS Energy PAC and $5,000 from Blue Cross Blue Shield of Michigan PAC. One Democratic activist and hard-core Sanders backer issued a warning to the party if it nominates Whitmer. “There are progressives who are not going to vote for a corporatist candidate,” said Liano Sharon, an organizer for the pro-Sanders group Michigan for Revolution. He said he’s leaning toward El-Sayed. He’s also a member of the State Central Committee of the Michigan Democratic Party. “What you have with Whitmer is somebody who is beholden to the large donors, trying to thread the needle between the the large donor and the active liberal base of the party,” he said, referring to Whitmer’s acceptance of PAC funds. Sharon said he’s heard from like-minded progressives they will simply sit out the 2018 general election should Whitmer win the primary. It remains to be seen how many share Sharon’s view. But his grievances echo those within a national party roiled by charges from former Democratic Party boss Donna Brazile that the Democratic National Committee gave the Clinton campaign improper control over certain party decisions before the primary was over. On the other hand, Ann Arbor resident and Sanders supporter Abby Dart told Bridge she has absolutely no qualms about backing Whitmer. Dart was a Sanders delegate and member of the platform committee at the 2016 Democratic National Convention. Other potential big-name candidates have declined to run. U.S. Rep. Dan Kildee decided to remain in Congress. 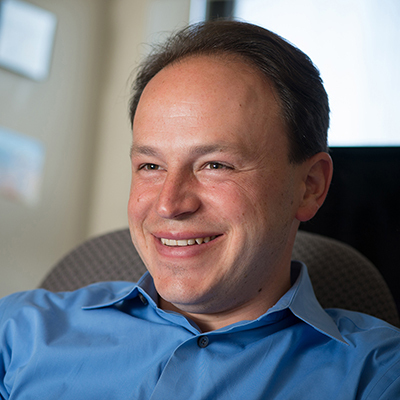 University of Michigan Regent and prominent Michigan attorney Mark Bernstein opted out, then threw his support to Whitmer. Prominent attorney Geoffrey Fieger – and 1998 Democratic candidate for governor – remains on the sidelines. According to the Michigan Campaign Finance Network, Whitmer raised $768,459 over the last three months for a total of $2.3 million for the campaign. Her campaign reported more than 13,000 individual contributions and had $1.5 million in cash as of Oct. 20. She received $40,000 over the last three months from the Michigan Regional Council of Carpenters and $27,200 from members of the Cotton family, founders of Meridian Health. But she has also secured more than twice as many individual donations as El-Sayed. El-Sayed raised $612,472 over the last three months, with his campaign raising a total of $1.6 million thus far. It reported more than 6,000 individual contributions and had about $900,000 on hand on Oct. 20. 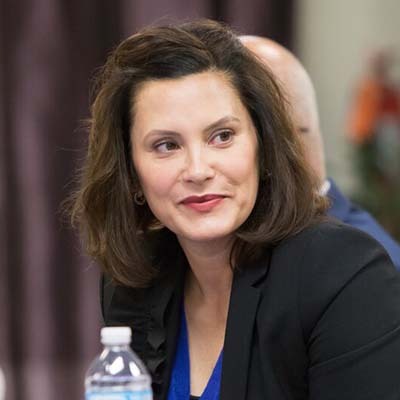 According to the Associated Press, more than 80 percent of Whitmer's contributions came from Michigan donors, while about two-thirds of El-Sayed's donations were from outside the state. Annie Ellison, spokesperson for Whitmer, pushed back on any notion she is an establishment candidate. “Gretchen Whitmer has been on the front lines of the progressive movement, fighting back against attacks on women's health, education, and worker's rights. In 2012, she introduced a plan to give every Michigan student a debt-free college education long before Bernie Sanders was talking about it on the campaign trail, and she paid for it by closing business tax loopholes,” Ellison said. El-Sayed spokesman Adam Joseph citing initiatives El-Sayed undertook as head of the Detroit Health Department, including providing eyeglasses to thousands of students, screening 360 schools for lead in the water and undertaking a program to reduce infant mortality. As the candidates skirmished, state Democratic Party Chairman Brandon Dillon dismissed reports of lingering tension within the party in the aftermath of 2016. “I think this is just really overblown,” Dillon said. Another analyst said that while some fissures may remain in the Democratic Party, other dynamics will likely shape the outcome of the gubernatorial race. “Overwhelmingly, the party out of the presidency benefits the most in the mid-term elections,” said Matt Grossman, director of Michigan State University’s Institute for Public Policy and Social Research. Gretchen Whitmer is not Hillary Clinton, let's be clear about that. Hillary Clinton is not running for governor nor is Jennifer Granholm. Any woman running for political office is not a Hillary Clinton clone or wanna be. Each is her own person. Attempts to equate or sidle Ms. Whitmer with either is just too shallow, paternalistic and demeaning. Clinton was cited for comparison not because she, like Whitmer, is a woman. She was cited because she, like Whitmer, was perceived as the heavily favored, establishment candidate with the veneer of inevitability to her candidacy within the Democratic party. This”all women are to be equated with Hillary” just shows how much sexism is alive and well. Women, no matter how qualified, can never truly prove themselves. Men, like Snyder and 45 just say, well I am a business man so that is proof I can do the job. Is it? I ask Michiganders, especially Flint: “How did that business man with his managers, EFM, work for you, for any of us?” I am a teacher and can tell you he hurt public education, our teachers, unions and most importantly our kids! Wow - this must have been written by one of those Russian bots that sow confusion. Hilary lost because she is most definitely NOT a liberal. She is a centrist and her running mate, Kane, is more conservative than she. I think you miss labeled Hillary. She is an ‘egocentric’ not ‘centrist’; it’s about her, nothing else. Everything has been to promote her. In the campaign I heard nothing from her about political perspective/principles; it was all about tearing down others so she would look taller. Since the election she has talked only about how others failed her causing her loss. Those who have supported and opposed her, only seeing what they want; Party or Social politics [not results]. When her husband was an openly sexual predator, she was facilitating him by viciously attacking his victims, that was about her and not about social/political principled agenda to defend an unprotected group in our society. The labels you use are simply stereotyping for gaining personal power not social or financial or political principles. Hillary lost because voters were willing to trust to an 'unknown' rather than go with the known. Don't dilute yourself those labels of 'liberal' or 'conservative' or ‘centrist’ matters to anyone but you, the media and the rest of the establishment. I am one of those 'deporables' that want change, that have lived changed, and that know that real change is bumpy and uncomfortable, that it is breaking with the past in order to build on the past for a better future, but those you label know none of that or are willing to do any of it. The choice is yours, if you are happy with the results 'liberals' or 'conservatives' or 'centrists' are delivering then stay with their unfulfilled promises. If you want to see better results, if you want change then don't hide behind contrived labels, ask for the how and what, the specific actions, something that we can all see if it is done or not done, who is doing and who is blocking those actions. You can stay with the establishment of Bernie, Hillary, Chucky, Debbie, Gary, Mitch, and Rick or take a risk on some unknowns [that have no labels]. If you are curious about the principles of change, the principles for delivering improved results, pick a problem and let's talk. One thing for sure that you've stated that I agree with is IT IS TIME FPR A CHANGE in who is selected to represent progressive and/or Democratic principles. Leave recycling to plastic and glass. For someone with a much-vaunted 16-years of legislative experience, she certainly doesn't have anything to show for it in legislation she introduced which eventually became law. Aside from a swimming pool tax and allowing mail order prescriptions, the rest of her actual accomplishments consisted of the usual fluff legislation of commemorative proclamations most legislators introduce so that they can say that they did something while in Lansing (other than just showing up). Clinton lost the primary to someone MORE liberal; then in the general the liberals stayed home because their candidate wasn't on the ballot and the Dems lost the state in a squeaker. If you're trying to make the case that the party is too liberal to win general elections, you need different evidence. This election, as they almost always are here, is about turnout. Unlike the Republicans, Democratic voters won't cast a ballot for someone just because they're the standard-bearer for the party. If their candidate doesn't excite them, they stay home. Ask Jim Blanchard and Mark Schaurer. If (presumptively) Whitmer doesn't rev up the party faithful by next October, it'll be Governor Dioxin taking over the pillaging of Michigan. "Clinton lost the primary to someone MORE liberal; then in the general the liberals stayed home because their candidate wasn't on the ballot and the Dems lost the state in a squeaker. If you're trying to make the case that the party is too liberal to win general elections, you need different evidence." Most dems aren't too liberal, they're not liberal ENOUGH, which explains Bernie Sanders' popularity. Distinguishing which Democratic candidate is the furthest to the left is an entertaining pastime, I wish them well in their quest. Win or lose this will set them up nicely for a future life in California. This article only sees politics/elections in the past of more than a year ago. The world has been changing for more than a generation, the old politics have been failing and the rejection of those failures was put in full view a year ago. The politics of Party line voting and loyalty lost. Trump disrupted the system/campaign model. He underspent, won without the establishment scheme, he broke all the 'Politically Correct' rules, he appealed directly to the voters by emphasizing about how he would change things [old way was promise results ignoring how and never delivering]. In the next election it will go to the candidate focused on how things will be done, spending little on promises without accountability. The old labels of ‘liberal’/’conservative’ will be cost votes because they are the old ‘Party’ ways, the new will have no labels just their name. It will be about how they talk to voters not what they will do for voters, it will be about how roads are made better [not simply spend more], it will be about how kids will learn not about systems and Lansing, it will be about how programs that fail are replaced/canceled. The last election wasn’t about who won, but why the opponent was rejected. It wasn’t about Party and media, but it was about the voters. It wasn’t about promises, but about specific actions. Duane the philosophical battle has been going on since Burke and Paine and probably longer,. You can call it Liberal vs Conservative, Right vs left, Tories vs. the Whigs, Reds vs. the Whites or any of a hundred others. Their results will be cast in which ever way suits the party being promoted or pilloried. The 2008 financial crisis is a great example, there's no agreement on the causes or cures. They can call it anything they like but it will still boil down to the same philosophical assumptions or values and battles. But I fear the man on a white horse who makes the trains run on time. Last election was about what will be done not much on about 'political label' or political philosophy. It was about actions. Political philosophies have had no accountability, people want accountability and actions give them that. Recall Bush 1, he made one statement about action 'Read my lips. no new taxes' which he failed to do and he was voted out. People can watch for actions, they can decide of actions have been done. Trump has delivered on his actions, new Supreme Court Justice, cut back in regulations [so say those being regulated]. Trump is fighting hard for, tax reform, fighting hard for the wall, he is fighting hard to stop unrestricted immigration [the Dems and courts are preventing his actions]. Duane saying it's all about getting something done glosses over the fact that what one side sees as healthcare or immigration reform is completely anathema to the other. Both can say they're in favor something and blame the other for wanting to do nothing. Generally the public isn't informed enough to make the distinction between the alternatives. Politicians are all to happy to take or seek political advantage form ignorance, so it appears that some want to accomplish something and the others don't. Underneath It still boils down to basic assumptions ... and yes clouded by ignorance and propaganda. You are right is how you describe the political situation, that is why we need to support the change that happened last election. We the voters need to ask what are the specific actions, not programs, not approaches, not promises for improving things. When Trump said build the wall, everything else fell away and we can judge him on if it he does it or not, if it works or not, if it changes what we see and hear or not. Simply by pressing the wall, we heard from the media that the number of illegals entering the country has drop drasatically and the whole topic has since dropped of their reporting, even the Ann Arbor Council has stopped trying to make local headlines with the issue. That is how we supposedly ill informed voters can help change results, change elections, change candidates, we need to press on what are the actions we will see in place of accepting promises. So sad that the majority of people classified as "in the middle" are only presented fringe candidates from either the far left or the far right. While I could not vote for any democrat, I also could not vote for an extreme rightist like Colbert or Schuette. Given the politics of the party system, and the results of the recent presidential election, it is a wonder that Trump even won the republican primary. That he did win I think is a testament to the fact that the general public is just fed up and tired of the existing political party system. You are right, and that's why there is hope. Liano Sharon is wha t is wrong with the self-certified "progressives' (as if people like Liano are the only ones to determine who is progressive" Liano is already issuing threats like a petty bully if things don't go Liano's way - how irresponsible! Michigan has open primaries- it is not the responsibility of the Dem leadership to annoint his favored candidate- he and his fellows need to simply get out and vote and convince others to vote for his pick. Period. Any Democrat who takes the Sanders side of the party is in for a rude awakening. You want the support of Sanders supporters? You better bring the bonafides to the table. "...at what point is the establishment going to stop treating us like they can rely on us to vote for the candidate we don’t want? " Thank you! The DNC still doesn't get it. The day after Trump won, the DNC should've cloistered themselves and not come out until they figured out where they failed, determined what constituency they really stand for and are willing to go to the mat for, purged their own ranks accordingly, and then combed every state for candidates that fit those new criteria. They didn't do ANY of that. The democratic party has a working class problem across racial lines .How does senator Whitmore attract those votes?